Home>Music> "Meek Mill Day" Celebrated In Connecticut, Earning Him "Keys To The State"
Only a week removed from receiving a similar nod in his hometown, Meek Mill was awarded the keys to the state of Connecticut. Ahead of his Motivation Tour stop at the XFINITY Theatre in Hartford, Connecticut State Rep. Brandon McGee was able to convince his Senatorial colleagues of Meek Mill's importance at the Federalist level, in view of his very public criminal justice advocacy. Uncoincidentally, Meek Mill's ceremonial gift comes on the heels of the State of Connecticut passing new legislation intrinsically connected to his efforts. The new amendment aims to give convicted felons the possibility of restoring their voting privileges, a small piece relative to the broader issues at hand. This makes Connecticut the second municipal council to bestow such honors upon him after the city of Houston lead the charge back in February. But that isn't Connecticut's lone offering, as they've also collectively (on a legislative basis) decided to peg March 19th (yesterday) "Meek Mill Day," in a package deal. 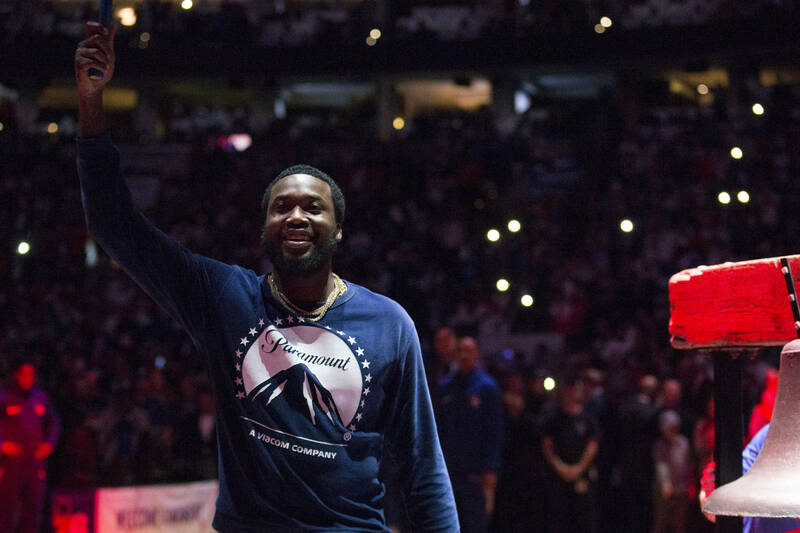 Meek's REFORM Alliance was co-founded by JAY-Z, 76ers' co-owner Michael Rubin, and several other luminaries, allowing Meek Mill the resources needed to succeed against the odds. His Motivation Tour rears into Lowell, Massachusetts tonight, and Washington, DC on the very next evening, keep it locked. MUSIC "Meek Mill Day" Celebrated In Connecticut, Earning Him "Keys To The State"